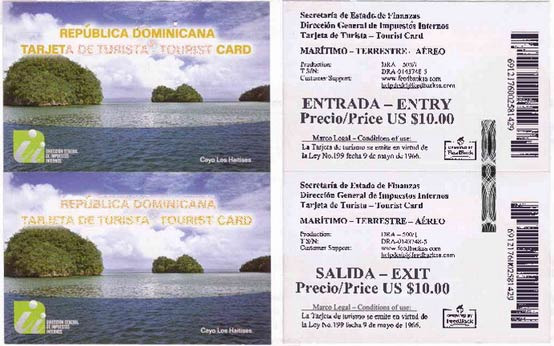 Since May 1, 2012 citizens of all nations need a valid passport to enter the Dominican Republic; you may also need a Visa, or a Tourist Card (US $10; available at the airport), depending on what country you are coming from. These rules only apply to tourists. 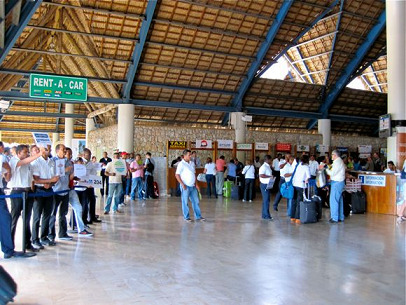 Punta Cana Airport Arrival Hall Tourists cards permit varying lengths of stay - 30, 60, or 90 days. For longer stays, one can visit the Migration Department in Santo Domingo and request an extension - if you do not, you will be fined when you leave the country (fine varies by length of stay and can be up to us$500). As of 2014, these are the requirements for the entry in Dominican Republic, by nationality. 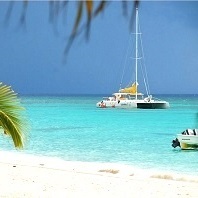 A full list can be found at GoDominicanRepublic.com. 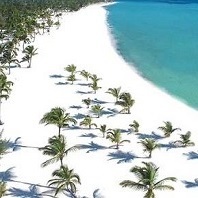 Punta Cana - Best Beaches.